Magus Genetics Seed Company | Get Outstanding Cannabis Seeds Now! Go Old School With These Stunning Knockouts! Discover an Exclusive Stable of Potent Seeds at the Magus Genetics Seed Company! The infamous Gerrit founded Magus Genetics in 2005, but he has been an active part of the Dutch cannabis community since the 1980s when he accidentally crossed a potent Afghani strain with classic Skunk to create Warlock, the most popular herb on any Amsterdam coffeeshop menu. 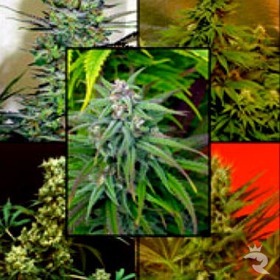 Buy Genuine Marijuana Seeds from the Magus Genetics Seed Company Today! Up to 29% THC - Wow! 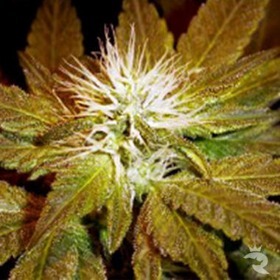 Get 2 times the power with turbo-charged Double Dutch cannabis seeds! This incredible mix of Warlock & pre-2000 Chronic delivers a complex effect that’ll blow your mind with a heavy high. Capable of an incredible 29% THC, Warlock is the founding member of the Magus Genetics collection. 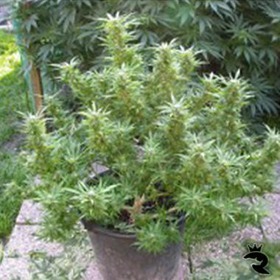 A stunning Indica-dominant cannabis seed with Sativa-like features, Warlock has won several times at the Cups. The Magus Genetics Seed Company Refines Every Strain to Maximize Quality, Power & Stability! The great thing about Gerrit & the Magus Genetics Seed Company is that this team never stops improving their strains! By the time they release each completely unique cannabis seed, it's absolutely perfect by anyone else's standards - including ours. But these masterminds are never satisfied! They continue to tweak their mixes year after year to improve stability, boost power & maximize yield. Is that the best kind of OCD you've ever heard of or what? If you worry that constant improvements will ruin your favourite strains, don't! Magus Genetics takes great pride in creating 5-star cannabis seeds with the highest possible level of consistency & uniformity. With that goal clearly in mind, each potent strain just keeps getting better, and better, and better! A Select Mix of Completely Unique Strains with Up To 29% THC! Bargain hunters take note! If you prefer standard cannabis seeds, you can't beat the deals that the Magus Genetics Seed Company offers on non-feminized beans! In the vast majority of cases, you'll get twice as many for the same very affordable price! For the absolute lowest prices in the UK, shop for your genuine Magus Genetics cannabis seeds at Rhino Seeds! With our new best-price policy, we offer an unbeatable deal. If you find the exact same weed seeds at another VAT-registered seed bank for less, The Rhino will beat that price, refund the difference & pay you a little extra for helping us keep our promise! What more could you ask for? Order 5-Star Cannabis Seeds Bred by the Magus Genetics Seed Company Today!